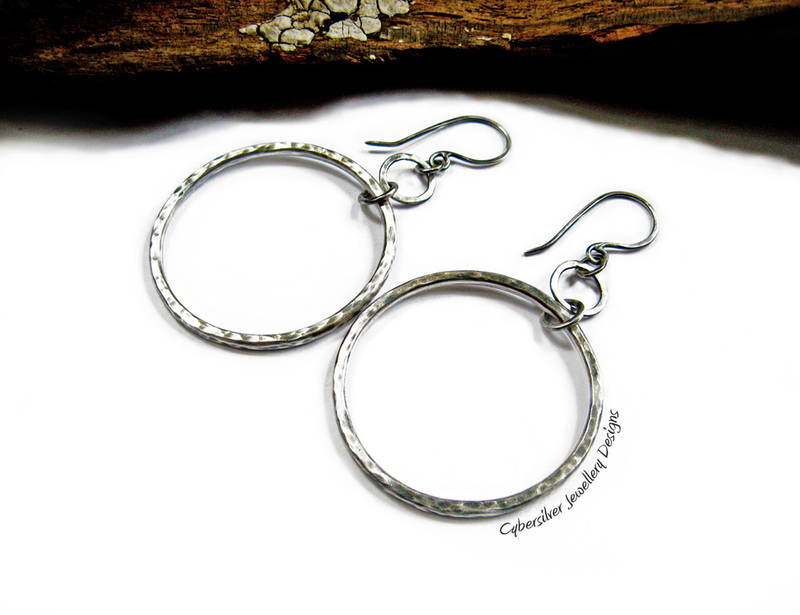 A gorgeously rustic pair of sterling silver hoop earrings. These are lovely and chunky and measure approximately 35 mm wide. Each large hoop has been constructed from 100 mm of 2 mm thick silver. They are entirely handmade and each link and ear wire has been soldered closed to prevent any piece coming apart and getting lost. The silver has been textured, oxidised and waxed.